Protected Trust Services is excited to launch PTS Discovery Brunches. Both members and prospective members are welcome and we offer a fantastic morning for you to meet the team. At each brunch, we will partner with a supplier so that you can learn about the benefits of joining PTS and also get to experience and meet one of the leading suppliers you will have access to through PTS. The PTS team will be present to discuss any questions you have about PTS and how we can support you and your travel business to reach new heights. 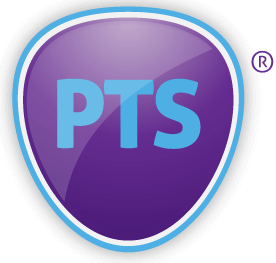 PTS offers a leading solution that encompasses Package Travel Regulations Compliance through an independent trust account and insurance, ATOL, merchant services, travel business software, currency hedging, insurances, travel suppliers and the ability to add your own suppliers alongside excellent member support. PTS welcomes both trading travel business and travel professionals looking to leave an alternative supporting model and startup tour operators. Travel agents do need at least two years of experience to join PTS. Daniel Landen, Managing Director of PTS has gone on to say. “Since PTS started we have always put the member first. Without a doubt, our biggest challenge has been to produce a system that put the user first. PTS extensively supports the processes that cost money and time – ATOL, compliance, system development, regulations, client management, supplier management, and payments, insurance and merchant services allowing the user to make bookings and deal with their clients. It is a great fit that is growing from strength to strength whilst always focusing on the member as the priority. PTS has become well known in the industry as a leading solution for tour operators and we are now excited to open our services to travel agencies and experienced independent travel agents. Each member pays per transaction rather than on a percentage basis thus the travel agent retains 100% of the profit. The PTS solution is cost effective and scalable. As such we offer our services to independent travel agents who work from home to established travel agents with a sales team. Our first PTS Discovery Brunch will be held with Aviate Escapes, the exciting new launch of bespoke holidays offered Worldwide by Aviate. Aviate is one of many suppliers that PTS members can take advantage of but this will also be an opportunity for current members to meet representatives from Aviate, Lime and learn more about the incredible new products and bespoke tour packages that Aviate Escapes are now offering. To book your place please email ask@protectedtrustservices.com. We do have limited space and we will work on a first come first served basis.